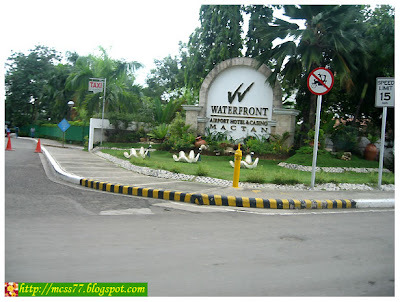 Waterfront Airport Hotel & Casino Mactan Hotel is near to the airport terminal. This five-star hotel offers a wide array of facilities for dining, business and pleasure, including a 24-hour international standard casino. Boasting 164 air-conditioned rooms that range from delightful poolside rooms to grand suites, the Waterfront has all the accommodation options you would expect from a grand hotel. Good food is a tribute to those who have a passion for good life. You can enjoy superb savoury specialties, bold flavours, season-inspired menu and signature entrees that make an excellent dining experience at the Waterfront. Guests can also relax at the lobby lounge with their favourite cocktails, wines, fresh juices and delectable snacks. The conference centre consists of 6 function rooms that can cater to various types of meetings, seminars or conferences. Enjoy a soothing massage after a day's work and plunge into the jacuzzi for a relaxing night. 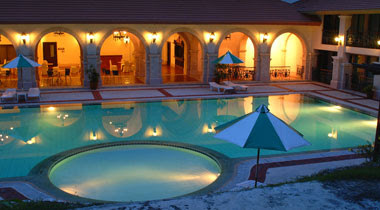 You can also take a bracing dip at the swimming pool or enjoy a refreshing drink at the Pool Aquarius Bar. Hello, recently i went to mactan and found mactan hotel rooms that are bigger than most hotel rooms and have a kitchen.